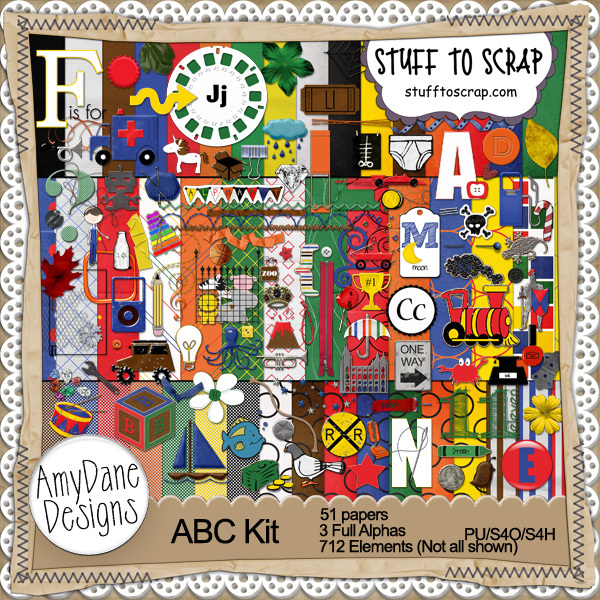 Scraps N Pieces will have a couple of their best selling kits in the $2 bin on Tuesday. Pick up their Suessish kit Imagine along with it’s coordinating QP pack or our genealogy kit Family History, I am Doing It along with it’s coordinating QP pack all for just $2 each. Images are linked. 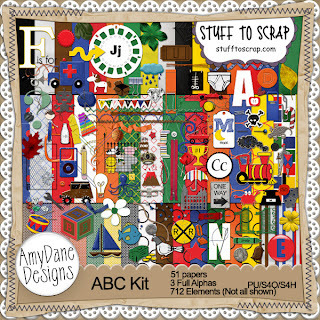 For the last time this year you will find the ABC kit in the $2 bin on Tuesday at Stuff to Scrap! papers, 3 Full Alphas, and over 700 Elements!!! Also this week in the $2 bin is the fantastic summer kit Ride the Waves! 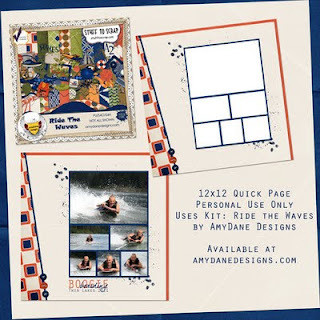 This kit celebrates all things water sports: skiing, boating, snorkeling, jet skiing, and tubing. You can't go wrong as you scrap those fun in the sun layouts! Go HERE to purchase Ride The Waves for only $2 on Tuesday! 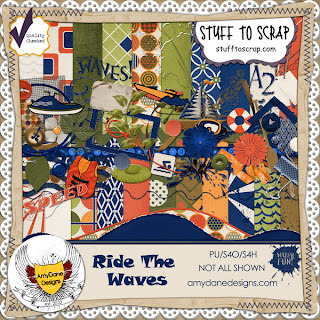 To get this cute 12x12 Ride the Waves QuickPage go to the AmyDane Designs Blog HERE!